I adore the first two Terminator movies. I was born in the year the first one came out and was only 7 when the second one came out, but I do feel as if I’ve grown up with these stories. These are the movies that made me think and dream about time travel and timelines, and I still enjoy theorizing about these type of plots. I was really looking forward to this latest installment of the Terminator series, and while it’s not everything I hoped it would be, it’s still a great action flick. 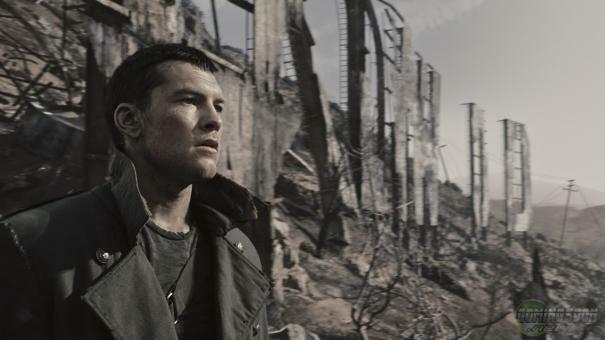 Terminator Salvation focuses on Marcus Wright (Sam Worthington), a man who wakes up in 2018 with no recollection of how he got there. Judgment Day has come and passed, and the human survivors are struggling in their war against the machines. John Connor (Christian Bale) is part of the resistance and knows he has to find his “father” Kyle Reese (Anton Yelchin), still a civilian trying to survive. 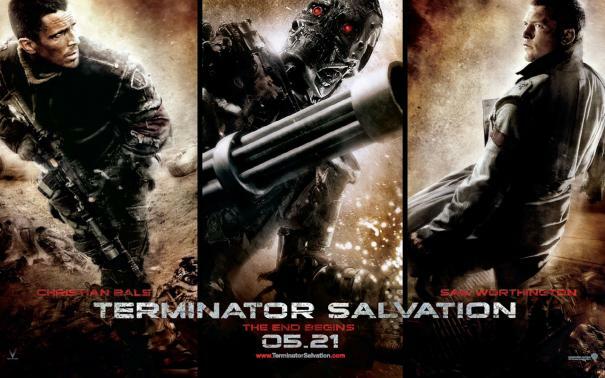 The main problem with Terminator Salvation is that this isn’t the movie every Terminator fan has been waiting for. Anybody who has seen the other movies wants to see one thing: the final battle between the machines and the resistance. What happens after they’ve sent back Kyle Reese and the terminators? Does John Connor and the resistance finally win the war? When does everything finally come full circle? This isn’t that movie. This movie is but a chapter in the whole saga, where Kyle Reese and John Connor meet. And that would have been fine, if they were the main two characters. If this movie was truly about the birth of their friendship. But it isn’t. Instead Terminator Salvation revolves around Marcus Wright, a new mysterious character, whose story line you see coming from a mile away. It kind of works. I mean I thoroughly enjoyed myself, and I came out of the theatre thinking it was awesome. But reflecting on it, I just think it could have been better. I mean, you’ve got these characters that the fans love and whose stories they want to hear, but instead we get a movie about this Marcus Wright. I don’t see why they needed this new character; why couldn’t they have focused more on Kyle Reese and John Connor? Or Connor and his wife? Or the rise of Connor in the resistance? It just didn’t feel necessary to have this movie revolving around this character whose story we’re not really interested in. Sam Worthington is okay as Marcus Wright, and by the end of the movie you are rooting for him. There’s nothing wrong with his acting (although at times his Australian accent slips through), it’s just you’re not as invested in his character as some of the others. Christian Bale is a bit of a disappointment as John Connor. When I heard he was cast, it just seemed perfect; who else could play the fierce, yet tortured resistance leader? And yet, it didn’t really work. There’s just something in him that doesn’t make you truly believe that this is a continuation of the same John Connor, although that may be due more to the way his character was written than Bale’s performance. The highlight of this movie for me had to be Anton Yelchin as Kyle Reese. After seeing him in Star Trek as Chekov, I didn’t think he could pull this character off (he just looks too baby faced there and not at all like Reese). But you get the feeling he must have watched and studied Michael Biehn’s Kyle Reese in The Terminator for hours, cause he’s spot on with his performance. The other characters don’t add much to the movie. Bryce Dallas Howard is fine as Kate Connor, but she doesn’t get that much to work with. She has this whole back story and history with John Connor and she’s pregnant with his child, but all she gets to do is stand on the sidelines and be a sounding board to his worries. Moon Bloodgood is introduced as a love interest for Marcus Wright, but it feels rushed and very unbelievable. I did really like the look of Terminator Salvation. After Judgment Day, the world is practically a bleak, deserted wasteland and visually they’ve managed to capture that. It’s gritty and barren, and exactly what you’d expect the world to look like after a nuclear winter. The action and special effects in this movie are also superb, with enough explosions and fights to do justice to the previous films. I loved the design of some of the new robots, even though some seemed a bit more advance than what you’d expect at this point in time. Terminator Salvation is a great summer action flick. Story wise it’s not fantastic, but for most people I guess it doesn’t have to be. Unlike some, I didn’t hate this movie, and I think McG managed to deliver a fun enjoyable film. I’m just disappointed it’s not the Terminator movie I was hoping for, but if it does well at the box office, we might see one in the near future.